Every year visitors flock to Lake Garda and fall under its enchanting spell. The traditional architecture and the Mediterranean fauna that characterises the lake, such as palm and olive trees, make up the stunning backdrop of this vast and majestic body of water. Charming small towns are found all the way around Lake Garda, a destination which is becoming increasingly synonymous with weddings. The stunning town of Malcesine, frequently referred to as the ‘Jewel of Lake Garda’, is a particularly popular location for an Italian Wedding. Malcesine Old Town is home to a number of historic buildings as well as the small winding alleyways that characterise the town. Its most notable landmark, the medieval Scaliger Castle, sits majestically upon a promontory, enjoying unparalleled views across the lake. The vast Scaliger Castle is home to a number of museums and exhibition spaces, including a renowned natural history museum. For a unique experience visitors can reach the Monte Baldo mountain range via cable car from the castle itself. Further highlights of Malcesine include the lush palm gardens found at Palazzo dei Capitani and the Baroque church of Santo Stefano. 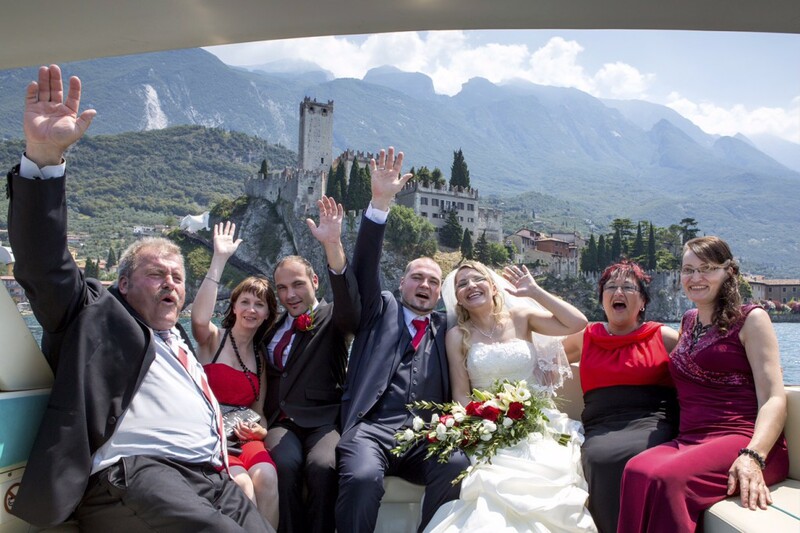 The town of Malcesine is a fabulous choice for a wedding location, offering good accessibility to and from Austria, Germany and the rest of Italy. Of every venue in Malcesine, Scaliger Castle is a forerunner for civil wedding ceremonies thanks to its enviable lakeside location, stunning views and unique architecture. 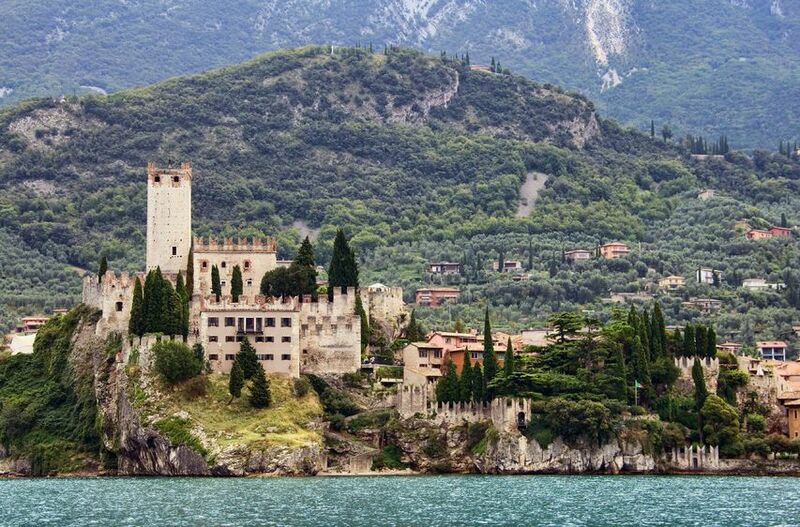 Those looking for an open-air Lake Garda wedding will find Scaliger Castle offers everything a couple could want for a memorable day. Daytime itineraries can include a boat trip across the lake for your guests followed by the ceremony at the castle itself. A sit down meal or wedding buffet, boasting deliciously fresh local cuisine can then be enjoyed at one of Malcesine’s many fine restaurants. Guests can then celebrate into the night, winding things up at one of the town’s charming hotels.